An interview between Comey and George Stephanopoulos is scheduled to air Sunday night on ABC, launching a TV and radio tour for Comey that will include an appearance Tuesday on NPR’s Morning Edition, and a CNN town hall next week hosted by Anderson Cooper. 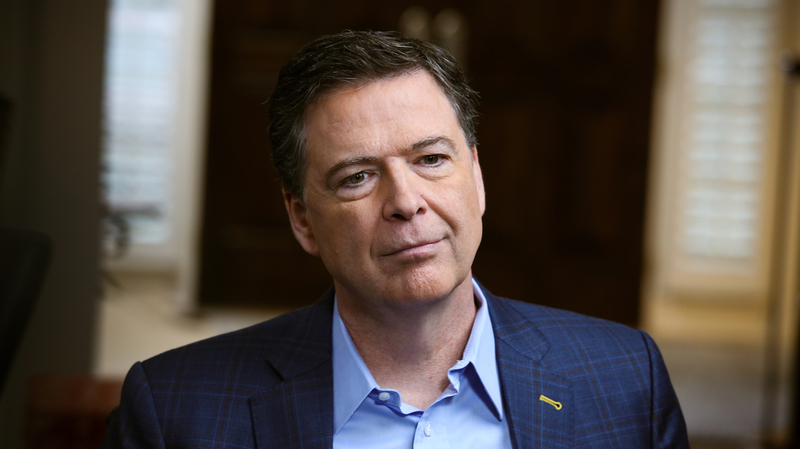 The White House and Republican Party have launched an effort to discredit Comey as outlets, including NPR, began reporting on the book’s contents last week. Two days later, on Sunday morning, Trump again lashed out at Comey on Twitter. Trump also reacted to a teaser clip ABC released about Sunday night’s Comey interview. In it, Comey says his decision to announce that the FBI was going to re-open its investigation into Hillary Clinton’s use of a private email server just days before the 2016 presidential election was influenced by Comey’s belief Clinton would defeat Trump. “In other words, he was making decisions based on the fact that he thought she was going to win, and he wanted a job,” Trump wrote. “Slimeball!” FBI directors serve ten year terms (although they can be dismissed by the president). Having been sworn in in 2013, Comey’s time leading the FBI was not due to end until 2023, well beyond the conclusion of what would have been Clinton’s first term in office. Trump also repeated his belief that the notes Comey says he took about his interactions with the president are “FAKE!” and that Comey is lying when he says the president asked him for loyalty. Trump fired Comey last May when Comey was in charge of the Justice Department’s investigation into Russian interference in the 2016 election, and potential connections to the Trump campaign. That decision has many, reportedly including special counsel Robert Mueller, questioning whether Trump obstructed justice. A new ABC News/Washington Post poll out this week says that Americans find Comey to be “more believable” than Trump, 48-32 percent, highlighting the White House’s need to discredit him.